On 12 March 2014, the Supreme Court gave judgment in the case of R (BSkyB) v Commissioner of Police  UKSC 17. This was an appeal from a ruling by the Administrative Court that it was procedurally unfair, and therefore unlawful, for BSkyB to have had a disclosure order made against it without full access to the evidence on which the police’s case was based and the opportunity to comment on or challenge that evidence. AB and CD were subsequently arrested on suspicion of having committed offences under the Official Secrets Act 1989. The alleged offences concerned suspected leaks of top secret information from meetings of the COBRA Cabinet security committee to the security editor of BSkyB. The investigation against these officers has since been dropped, but the case has continued due to the importance of the legal issue raised. On the day after AB and CD were arrested, the police informed BSkyB that a criminal investigation had begun and asked for disclosure of various documents including copies of all emails between Mr Kiley and the two officers since October 2010. 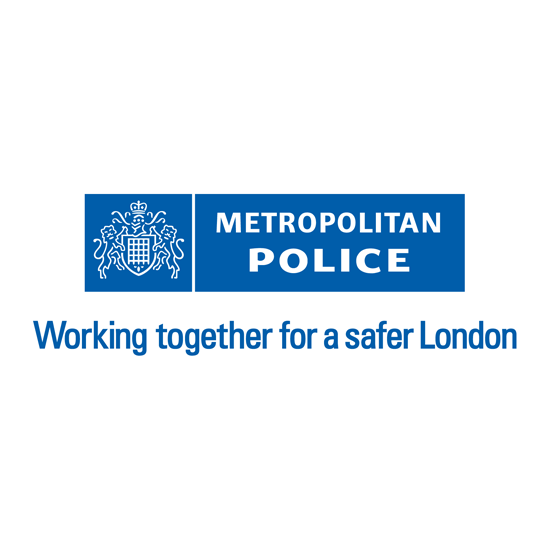 After inconclusive discussions between the two organisations, on 14 April 2011 the police served an application for a production order under the Police and Criminal Evidence Act 1984 (PACE), Sch 1, para 4, supported by a statement signed by Detective Sergeant Holt. The statement asserted that technical work on the two officers’ computers and mobile phones showed that information had been sent by them to Mr Kiley after Cobra meetings which had then appeared almost immediately on the BSkyB ticker; that in interviews after their arrest the officers had admitted passing information to Mr Kiley; and that if the unauthorised information had become known to hostile forces it was likely to have endangered the lives of military personnel. PACE consolidated various police powers to obtain evidence for a criminal investigation. Generally, a magistrate may issue a search warrant on an application by a police constable made ex parte – without any other parties being aware or present. However, this process does not apply to material which is acquired or created for the purposes of journalism, and is in the possession of a person who acquired or created it for the purposes of journalism. Such material must be sought by a special procedure under Sch 1 to the 1984 Act, which requires an application for a production order to be made to a Crown Court judge and to be heard inter partes – with any other affected parties present in court. The police’s application for the production order was heard on 26 April 2011 and 3 May 2011 by a Crown Court judge in the Old Bailey, with both the police and BSkyB present. Both sides put in skeleton arguments and witness statements. The police made an application to adduce further evidence from DS Holt in the absence of BSkyB’s representatives. BSkyB objected to that course of action and raised other objections to the application. The judge allowed DS Holt to give evidence in the absence of BSkyB’s representatives, and made the production order. BSkyB sought judicial review of the judge’s decision, and the Divisional Court quashed the production order. The Supreme Court unanimously dismissed the Police Commissioner’s appeal against this decision. Lord Toulson gave judgment for the Court. The principle in Al Rawi required that any evidence used in such trials, both civil and criminal, be disclosed to all parties. That case established that it was not permissible for one party to be prevented from seeing evidence relevant to the other party’s case. There were however a number of classes of case where departure from this rule can be justified for special reasons in the interests of justice. These include child welfare proceedings and proceedings involving the protection of confidential information . This case did not involve a trial, but a statutory procedure designed to gather evidence for a criminal case. In general, the Al Rawi principle should not be applied to an application made by a party to litigation or prospective litigation to use the procedural powers of the court to obtain evidence for the purposes of the litigation from someone who is not a party or intended party to the litigation. Such an application did not involve the determination of substantive legal rights as between the applicant and the respondent [24-28]. but a section 9 application may well involve an attempt to compel the disclosure of sources, which is always a sensitive and difficult area because of the potential impact on the ability of responsible journalists to gather and analyse information on matters of public interest. Parliament had required, by that special procedure, that an application for a production order should be made inter partes. As a result, when that application was made, there was a discrete legal issue between the applicant (here the police) and the respondent (here BSkyB). Equal treatment of the parties to that issue requires that each should know what material the other was asking the court to take into account in making its decision, and should have a fair opportunity to respond to it. The Crown Court judge in this case should not have taken into account evidence from which BSkyB was excluded [30-31]. For the avoidance of doubt, this did not prevent a court hearing a public interest immunity (“PII”) application in relation to a production order ex parte. In a PII application the issue was whether the evidence is to be admitted at all. If the evidence was to be admitted in support of a production order, however, the inter partes nature of the hearing was inconsistent with that evidence being given ex parte . I would add that the court has no way of assessing reliably the extent to which this decision may impede the use of the section 9 procedure, nor of balancing the corresponding ill effect on responsible journalism of a decision the other way. Those are matters for Parliament. However, we were told that the majority of applications under section 9 are made against banks, that most of the remainder are made against accountants or solicitors, and that they are seldom contested. This is unsurprising. A bank or professional adviser will need an order to be made in order to justify revealing the information but is unlikely to have any interest in opposing it. The position of journalists is obviously different, but applications under section 9 against journalists appear to be rare. We have no figures, nor do we know in how many cases the police have refrained from making an application in view of the decision of the Administrative Court. However, even if we had detailed information, it should not affect the interpretation of the statutory scheme. This HL decision ought to make all decisions by the panels of General Medical Council made in (deliberate / ‘engineered’) absence of doctors; where the GMC Legal representatives are in habit of producing copious new material that is undisclosed to the doctor. This is additional to the fact that the current procedures conducted (since mid-2012) by the purportedly independent [allegedly ‘puppet’] MPTS (Medical Practitioners’ Tribunal Service) admittedly have no statutory authority in law. Leave a reply on "Case Comment: R (BSkyB) v Commissioner of Police  UKSC 17"